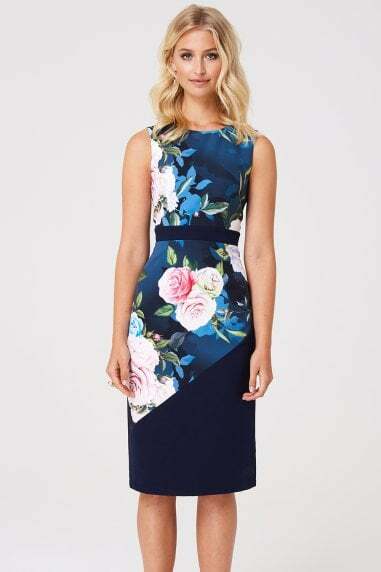 Knee-length pencil dress with floral print centre panel and illusion block colour sides. Short lace sleeves, round neckline and zip fastening. shell: 90%polyester, 10%elastane - Lace: 100%polyester - Lining: 100%polyester.